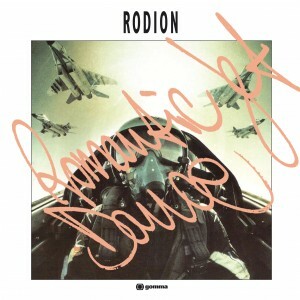 Rodion is from Rome. He makes freaked out Italo Disco that’s ahead of its time. Somewhere between the depths of Lindström and the synthesizer funk of Justice, mixed with the dramatic melodies of Italian horror movies. Heavily influenced by the Japanese science fiction animation soundtracks of the 70’s and the cosmic music culture, Rodion is fully tuned into the extraterrestrial beat. Real name Ed Cianfannelli; Rodion has a very interesting past. Once a scholar at a famous Catholic music school, he was heralded as the prodigy piano student of his generation, declared as a genius, his career path as the church organist was predicted and expected. He was their great hope. BUT, after a night out with friends, Mr Cianfannelli discovered electronic music and was soon hooked on the Italian nightlife. Inevitably the church hierarchy found out about his weekly rave escapades and were left with no choice but to ask him to leave. Unlike many of his peers, Rodion performs live with a band and the crowd euphorically received his recent live performances in Clubs in Paris, Berlin and London.